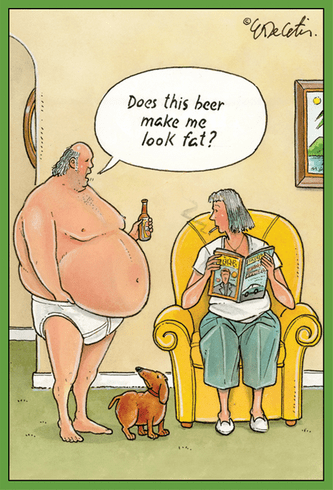 Outside: Does this beer make me look fat? Inside: Can't stomach the idea of getting older? Happy Birthday.